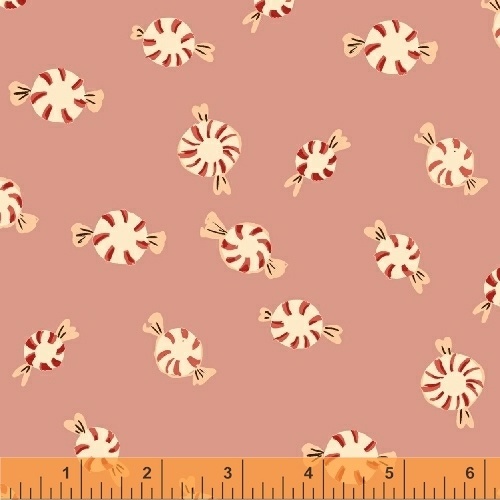 This charming Christmas collection by Heather Ross has mice dancing and playing alongside delectable peppermint candies. Illustrated in Heather�s unique style, it is perfect for both the young and the young at heart. Make snuggly stuffed animals, warm pillowcases and beautiful themed quilts. 16 cotton skus. 4 flannel skus. On sale October 2017. Delivery to stores May 2018.